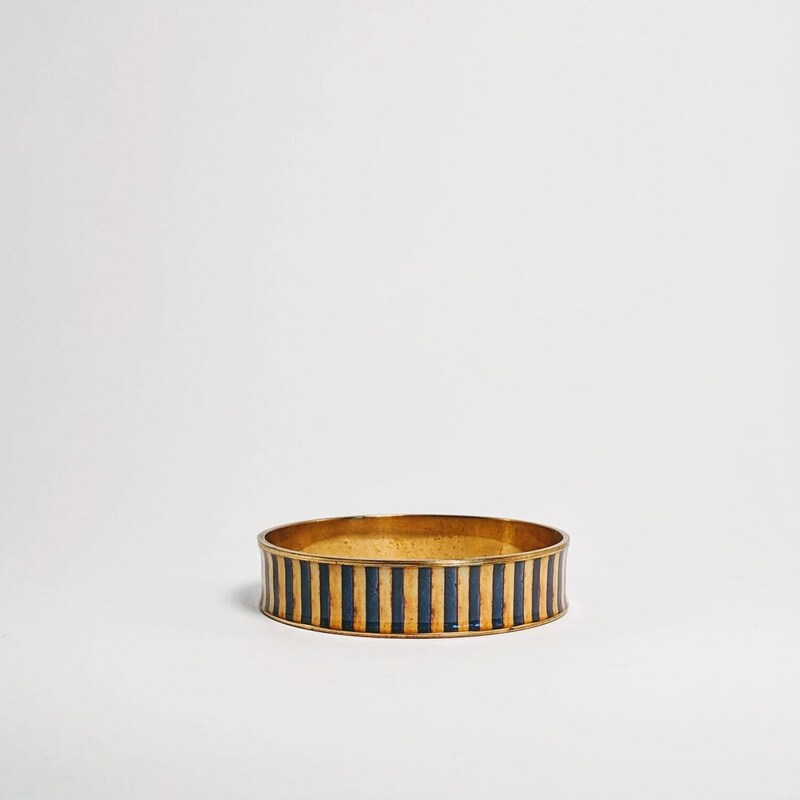 A design inspired by one of a set of 3 bangles found in King Tutankhamen's tomb. The Boy Pharaoh ruled for only 9 years and died when he was 19 years old (c. 1332 - 1323 BC). The last picture shows all 3 designs in the set. 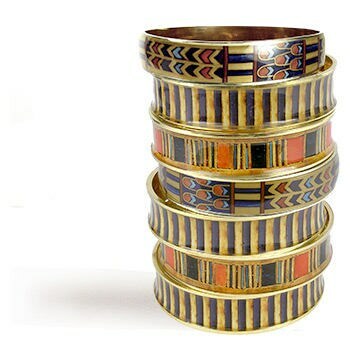 The 3 bangle set can be purchased at a reduced price as a variation to this listing. 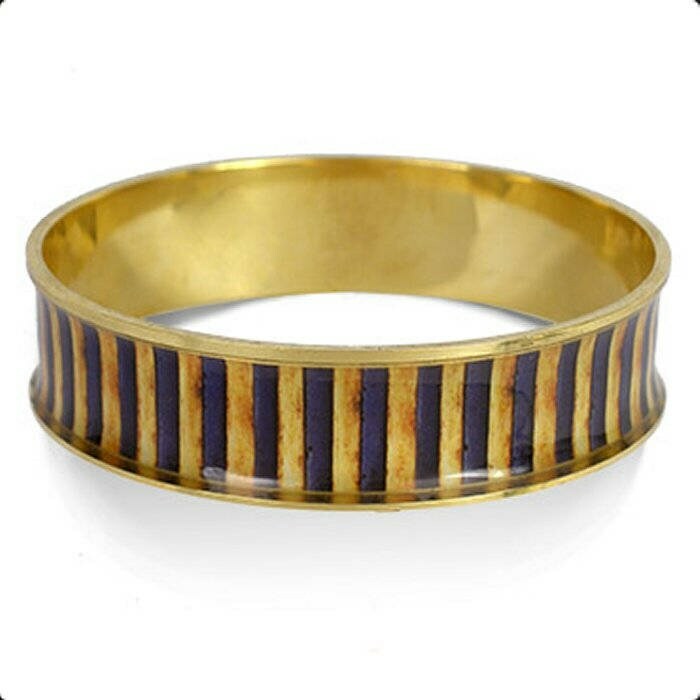 This metal bangle is 5/8" wide (16mm) and approx. 2 3/4" in diameter with an inside circumference of approx. 8 inches. Will fit up to a 7" wrist if hand is small enough to get through the opening. 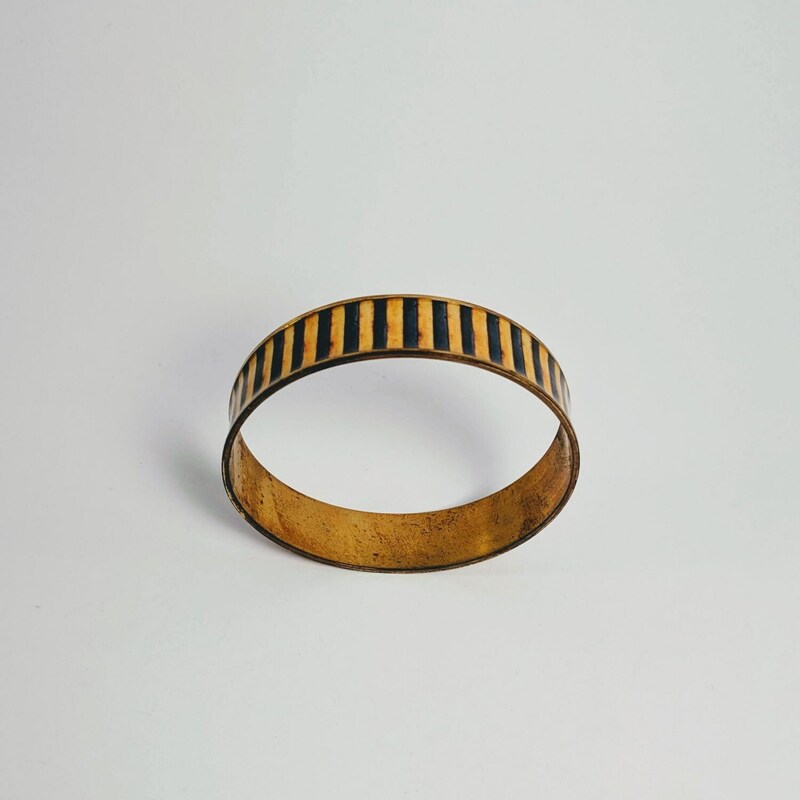 Materials: Brass with gold finish. 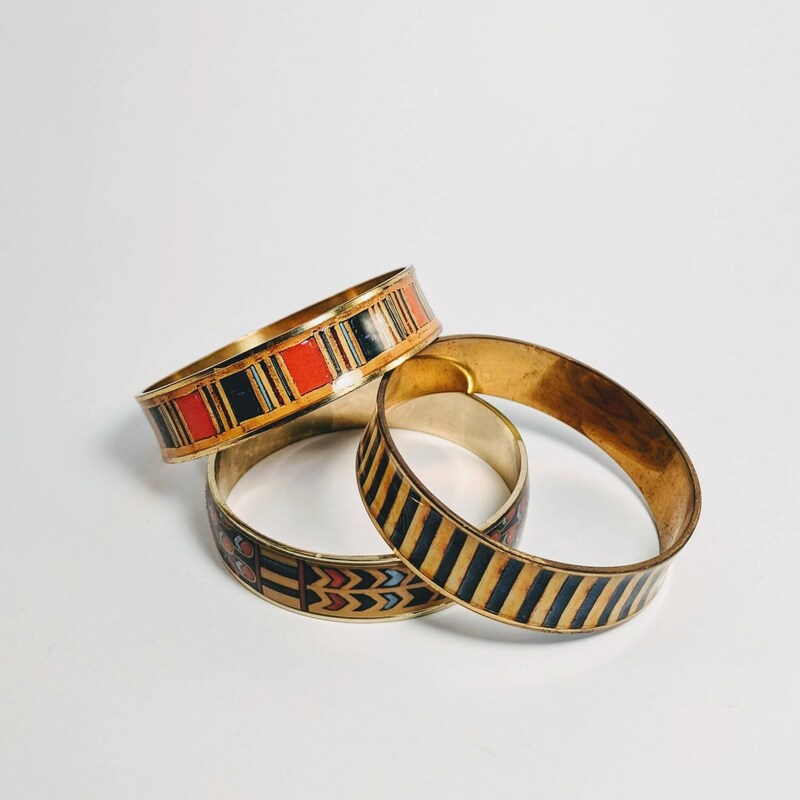 No semi-precious stones are used; instead a photographic process is used to transfer the full color image to the metal and then a layer of clear resin is added for protection. Do not wear swimming or during strenuous activities that could expose it to possible scratching or chemicals.